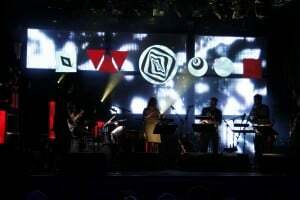 “Story Water” was originally commissioned by Vossajazz in 2012. The premiere was recorded and released as a CD, and toured in Norway. The album was released as a double vinyl in 2016. The music is influenced by noise-rock, metal and psychedelic rock on one side, country and folk music on the other.